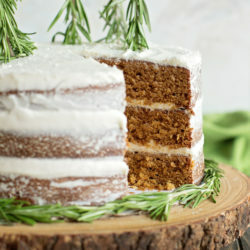 A moist and tender spiced gingerbread cake with thick, creamy cream cheese frosting. This stunning layer cake is perfect for the holidays! Fall flew by! I’m sure it had something to do with the hubby being gone for most of it, settling into a new home, me being pregnant, and finally welcoming the third addition to our family. I can’t believe Christmas is only a month away. I’ve been slowly easing back into testing recipes and photographing them for the blog and for clients. It’s been quite an adventure with three little kiddos! This gingerbread spice cake was first up. 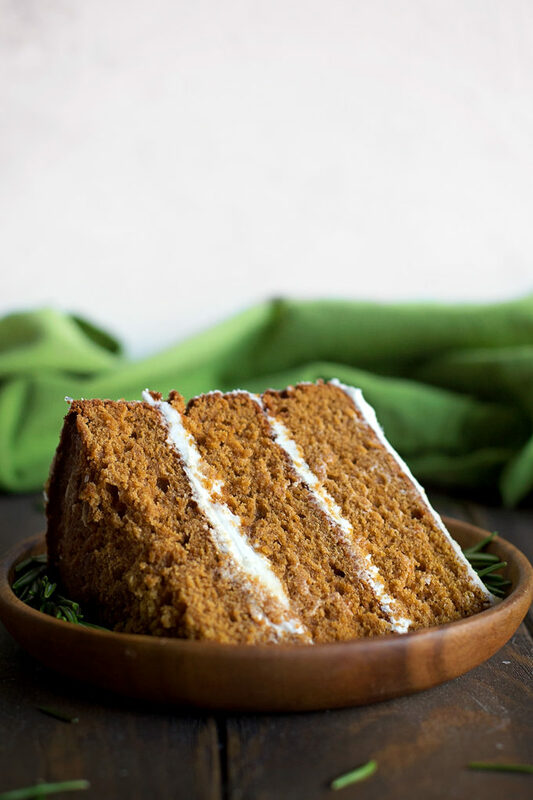 It’s moist, loaded with cozy spices and covered in a luscious cream cheese frosting. It’s the perfect dessert to take to all of those holiday parties! 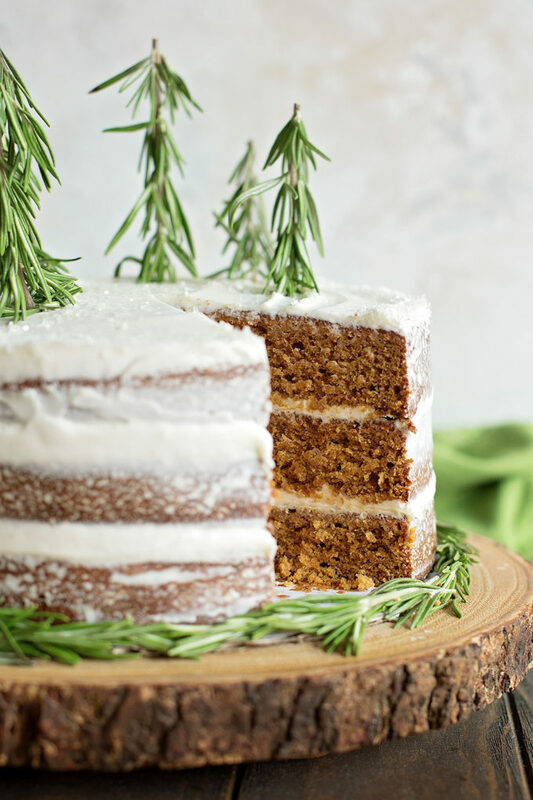 Do you love spice cake? 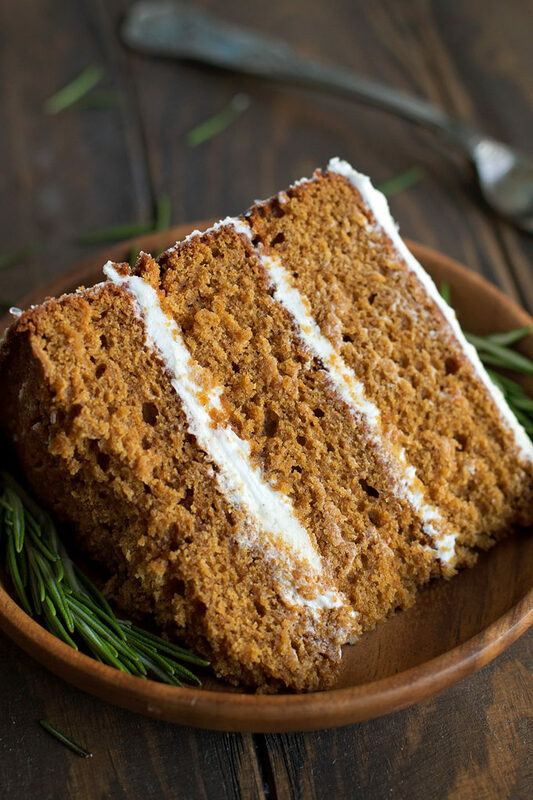 It tastes just like you’re biting into a classic gingerbread cookie, only in cake form. I’m obsessed. While this three layer stunner is more work than the traditional sheet cake, it’s great for holiday gatherings because it can easily feed a crowd. The best part of making this cake was decorating it. I had originally planned on topping it with a mini gingerbread house but unfortunately the royal icing frosting did not hold up #reallife. Instead, I grabbed some of the rosemary I had bought for Thanksgiving dinner and used it as little trees. I sprinkled clear sanding sugar and edible glitter around the edges. It looked just like snow. 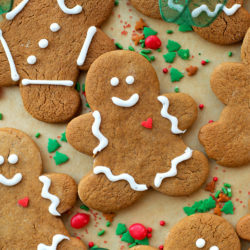 You could leave it plain or use gingerbread men. The options are endless! 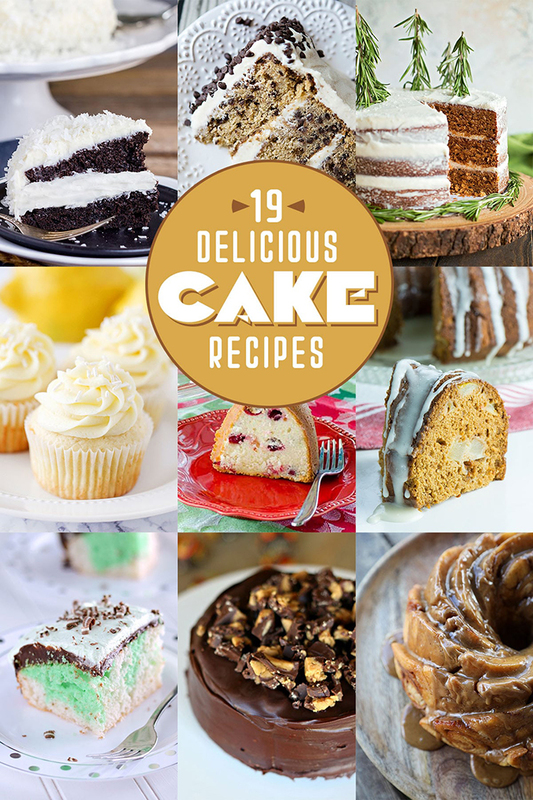 This delicious winter cake will be the hit of your holiday party! Preheat oven to 350 degrees. Line the bottom of three 9-inch round baking pans with parchment, then butter/flour the sides or spray with baking spray, set aside. In the bowl of a stand mixer fitted with the paddle attachment (or a large mixing bowl with a hand held mixer), beat the butter until creamy, about 2 minutes. 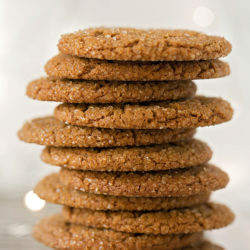 Add sugars and beat for 3-4 minutes or until light and fluffy, then add molasses and mix until combined. With mixing speed on low, add egg yolks one at a time until incorporated, then add the vanilla. 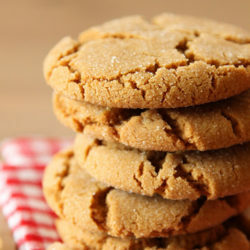 In a medium mixing bowl, whisk together the flour, baking powder, salt, ginger, cinnamon, cloves and nutmeg. With mixing speed on low, alternate adding the dry ingredients and the buttermilk. Mix until just a few streaks of flour and buttermilk remain. In a small mixing bowl, beat the egg whites until stiff. Using a rubber spatula, fold the egg whites into the cake batter. Once incorporated, pour batter into the three prepared baking pans, dividing evenly. Smooth out the batter with a spatula. Place in the oven to bake for 22-26 minutes or until a cake tester inserted into the center comes out clean and the top springs back when touched. Remove from the oven and allow to cool for 15 minutes before inverting onto a wire rack to cool completely. Meanwhile, to prepare the cream cheese frosting, using the paddle attachment cream the butter, vanilla and salt for 2 minutes or until light and fluffy. With mixing speed on low gradually add the powdered sugar, beat until it forms a thick paste. Add the cream cheese and mix on the lowest speed possible for 1½ minutes, then STOP! Place in refrigerator to chill until the cakes have completely cooled. Allow to stand at room temperature for 5 minutes before piping between the cake layers. The outside of the cake will require very little frosting as this is a “naked” style cake. 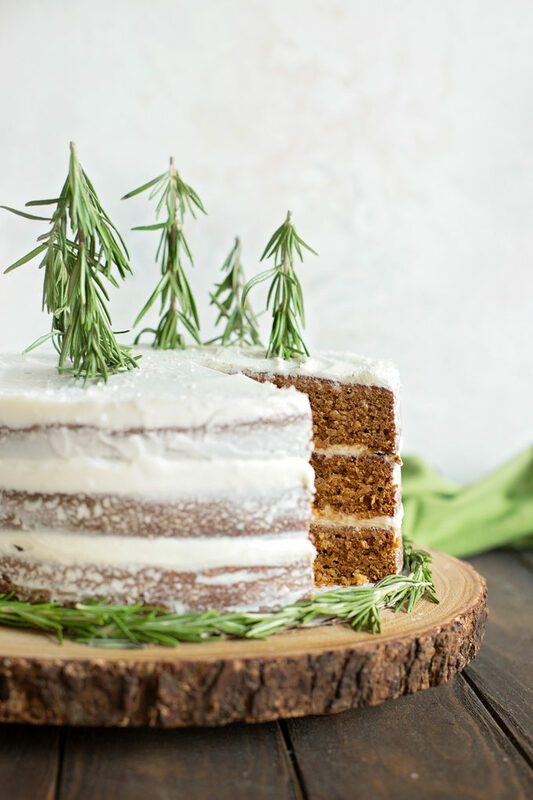 Decorate with white and/or clear sprinkles and rosemary, if desired.